Cost Effective insect control without poison sprays. University tested-kills over 30% more flies than other brands. Now baited with insects attractant. Clean white paper for indoor and outdoor use. 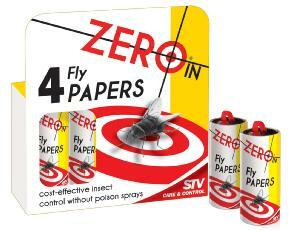 Traditional, cost-effective insect control in a 4-pack.